Let’s say the worst has happened and your bank is threatening to foreclose on your home. The question now is, what do you do? This is definitely a trying time for you and your family, and you might not be able to think of a way to get out of the situation. The fact is the economy has slowed down and when this happens many people tend to lose their jobs, and as a result, they cannot meet their monthly mortgage obligation which in turn causes them to lose their homes due to foreclosure. Well, if you’re at risk of facing the same situation, you might be caught thinking that all hope is lost, and you’re going to lose your home and ruin your credit, but I’ve got good news. In this article, I’ll be sharing with you some steps that you should consider so you can stop that foreclosure in its tracks and keep your home during this difficult financial crisis. Before we head on to tackle your problem, I would want you to clear your mind first, get rid of any frustration because if you’re stressed out, you will not be able to think clearly. In most cases, this has led to an even worst situation because you might make the wrong decision based on impulse or out of frustration. So it is important that you take some time to calm yourself before looking for options that you have to solve the issue. Having said that, the next thing to do is deal with the facts. The reason behind the prospect of your home facing foreclosure is really simple – your finances are not in good shape right now, and this is what has led to a situation in which you might lose your home. But as you can see I used the word might which means we have lots of possible options starting with the reason for foreclosure. Here are some of the extenuating circumstances that are faced by some of the homeowners which result in their financial situation taking a hit. It is important that you know your current financial status as that will help determine what options apply to you in order to stop foreclosure.Two people with completely opposite financial circumstances will have completely different options available to them to avoid foreclosure. For those who can continue the monthly mortgage payments and all future payments but you’re currently unable to make back payments – you’re in good shape and here are your options. One of the best options, if you’re able to do it, is to bring the loan current. The truth is this is what the bank is actually looking for; after all, they want to continue receiving payments (and the interest) from you. 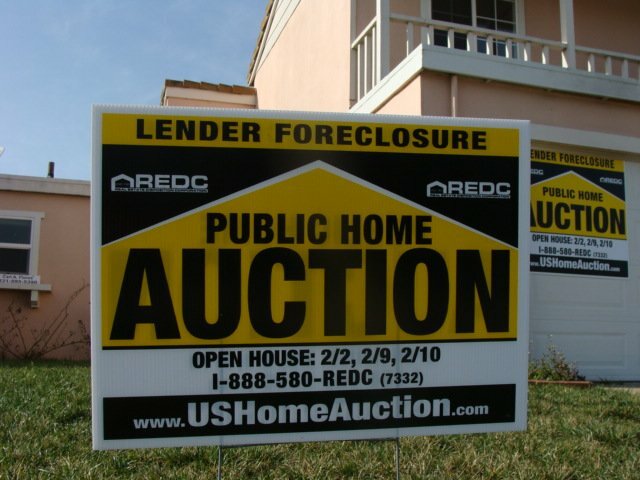 The bank will almost certainly stop the foreclosure proceedings if this is done. Although this has its downside, it should be your first option if it is at all possible. The idea here is to negotiate with the lender to modify the loan by paying a little extra each month. Spreading out the missed payments over the year or until you are caught up. Designed to provide short-term relief to borrowers who are undergoing financial hardship that makes them unable to pay their monthly mortgage payment. Here the lender agrees to reduce or suspend your mortgage payments for a specified period, giving you some time to work things out and get back on your feet. But you have to agree to resume the FULL payments at the end of this period and in addition come up a repayment plan that is affordable for you in order to clear the missed payments (this includes interest, taxes, insurance and principal). Money lenders will always consider foreclosure refinance loans if they are convinced that you will not neglect making payments when the time approaches. Qualifying for refinancing is a bit difficult though and the requirements are strict. Although in most cases the payments turn out to be higher some homeowners still prefer to start off fresh and use refinance to stop the foreclosure of their home. If your income level allows for something other than the full monthly payment plan, then you may choose to opt to the option listed below. One of the challenges with this way to stop foreclosure is your credit may not be good enough due to the late or none payments that is now affecting your credit score. In this circumstance, bankruptcy can be considered to stop a foreclosure in progress. The individual will be asked to agree to a plan by the court to pay the debts according to certain conditions. Bankruptcy, however, can become an expensive alternative. This option may be a good choice for those who are in foreclosure proceedings and who have a large amount of disposable income. But let’s be realistic here, if disposable income is available your family wouldn’t be in this situation in the first place. Nonetheless, this method will help you to organize your financial problems, and you’ll also be able to stay in your current home. It is crucial that you have an attorney to assist you with this option preferably one that works primarily as a bankruptcy attorney. Bankruptcy is a temporary solution, and you must perform according to the terms agreed upon in order to keep your house. If you choose to file bankruptcy and fail to make your payments to the bank, the bank can be excused from the bankruptcy proceedings and move forward with the foreclosure. If your income level does not actually allow you to pay any amount on a monthly basis is there a way out? The answer is still yes, here are some of the options available for you. It should be mentioned that bankruptcy usually damages your credit in a big way and could stay on your record 7 plus years!! This is another great option to consider while in order to avoid foreclosure. You will be out of your current financial situation and be able to have your relative or friend carry you for a while until you get back on your feet. You can then lease or rent back your home from them until you are financially able to buy back the property. But you must understand that this depends on how well you trust your friend or relative because this option may turn into a way for him or her to make a quick profit off you by selling your home at a reduced rate. Due to the ongoing negative financial situation you’re encountering, it may not be realistic to try to keep your home, and the quicker you identify with this fact, the better the end result will be. Having this at the back of your mind will make it a lot easier to leave the home and at the same time get a new beginning with your financial affairs. Depending on the circumstances you find yourself in, renting the property could be a viable option. This would be a great option if the house could be rented for an amount that would cover the monthly mortgage payment. But you must remember that as a landlord you’ll be required to pay for some property expenses, and you also stand to take a risk if the renter does not pay on time or does not pay at all. It is important that you discuss this option with your lender so as to get their approval before opting into it. This simply means your bank or lender agrees to accept an amount that is less than the total amount due just to avoid foreclosure. A short sale involves finding someone to purchase your house for less than you owe on it, and convincing your lender to accept the amount you can get for the house. In this option, you’re going to “short” of the amount you owed hence the name “short sale.” But for this option to actually go through successfully, you will need to plan ahead of time in order to prevent your bank from foreclosing. Keep in mind that a short sale is bad news in terms of your credit history and could also be considered a taxable event even though you didn’t get funds! One of the easiest ways to stop foreclosure is to immediately sell the property outright before the bank has the time to proceed with the foreclosure. If you can get enough money for your home paying off your debt in time will stop the foreclosure from proceeding, but the problem is this will leave your family homeless and looking for a new place to live. This option or plan is also known as a mortgage release. Here as a homeowner, you voluntarily sign over the ownership of your home to the lender or bank. Signing your home over to the bank means they’ll not have to go through the legal proceedings of a foreclosure. A Deed in Lieu of Foreclosure plan can be a option if you are ready to walk away from your home and yet you could not short sell it. Many times a Deed in Lieu of Foreclosure will harm your credit for a long time after the event. But let’s face it; there has to be an easier way for all this… I can see the look on your face right now, and yes there’s an even better option aside all these listed above, and that’s the good news I’ve got for you. Since the property seems destined for foreclosure, here is the best way to handle it and to go with this are some reasons why this is the very best option. If you need to sell your home fast, choosing the traditional option of listing with a realtor may sound great. But this might not be an option for those who have been threatened with a foreclosure and have limited time to sell or need quick cash and want to of course get the highest value possible while selling their property. Selling with a realtor may sound ideal and beneficial if you have time on your side, but if that’s not the case for you and if you are actually crunched for time, then selling your home to an investor is your best bet. Here are some the benefits associated with selling to an investor. An investor can close on your house fast, and this is usually in 10 days or less. In most cases when you sell to a real estate investor you will receive an offer within the next 24 hours of your request. You will be able to get your cash in your hand as quickly as possible and without any hassles. These investors are professionals with lots of experience; they try their best in helping homeowners walk through the process of selling their property as soon as possible to avoid foreclosure. 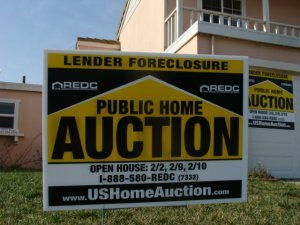 If you’ve been receiving foreclosure notices then like I said earlier this is your best bet and may be the solution you are looking for. Real estate investors do not only buy your home faster, in many cases, the real estate investment company can decide to take over your mortgage. Nothing beats this! Why? Because they can also allow you to rent the property from them if you actually don’t want to walk away from your home yet. And just to give you a tip, this is a great way to avoid foreclosure and having it hit your credit score badly. They can also give you up to full market value for your house if you are a little flexible on your terms. The most interesting factor about selling your home to an investor is that his or she will work with you to find out all of your goals for selling your property. After that, they will also do their very best to meet or exceed all of your goals for selling your home. The fact that they also buy your home from you no matter the condition, area, or situation your home is in, gives you more advantage as you will not have to pay anything out of your pocket. An investor will also provide you with many viable options to sell your house as fast as possible. There are several more benefits to selling your home to an investor especially if you are facing a foreclosure. Joel and his wife Amy, have been buying real estate for over 14 years and has helped many home owners with sensitive situations that needed a Real solution.